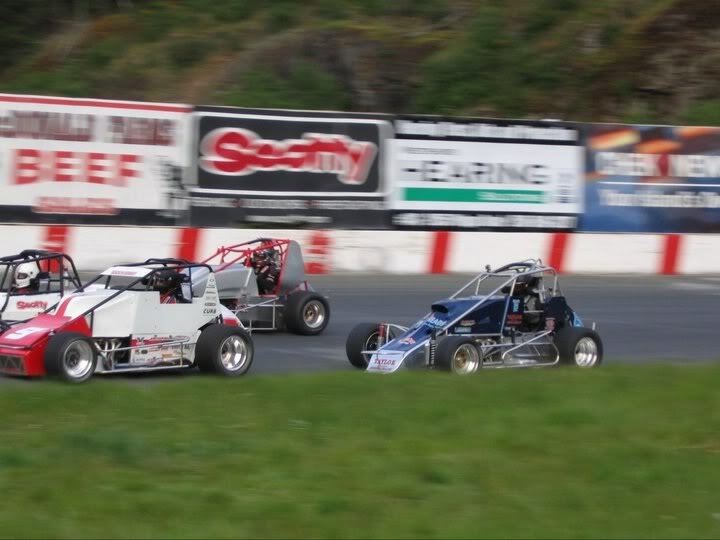 Western Speedway hosted another great night of racing with the second appearance of the Stock Cars, and the O.T.R.A., and the WilRoc LiteSeries as they opened their season racing for the first time this year. 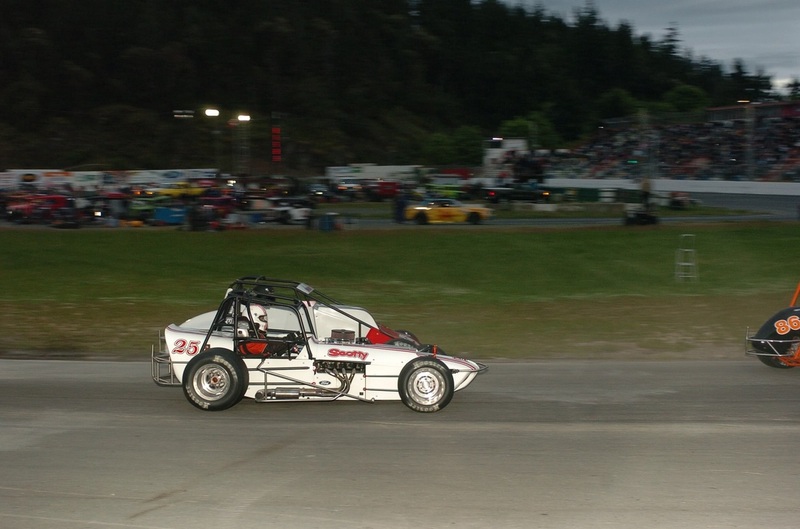 A great crowd was on hand to witness close racing in all three classes right from the Trophy Dashes, Heat races, and the Feature events that made up the program on this night. 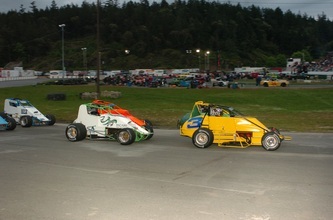 Steven Dardengo won the "B" Trophy Dash in the WilRoc Lite Series using the last lap to get the lead from Jim Giles. 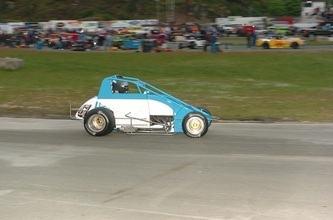 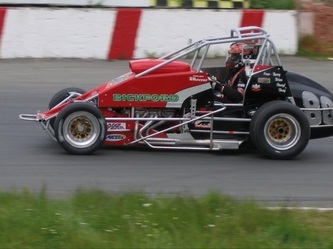 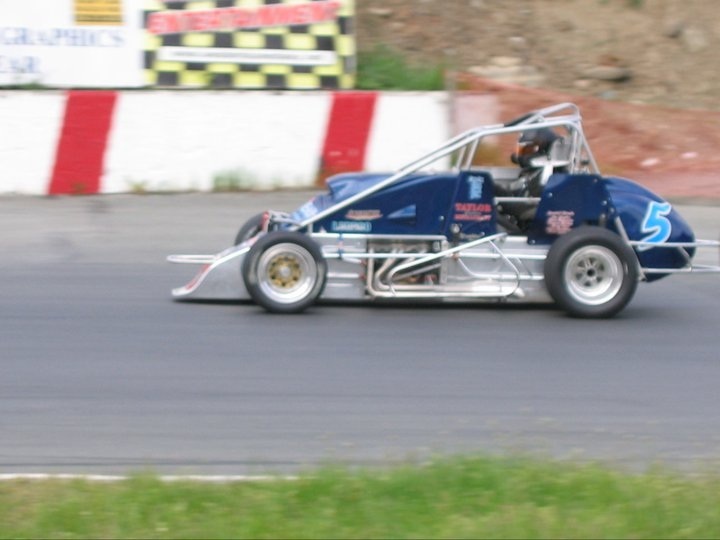 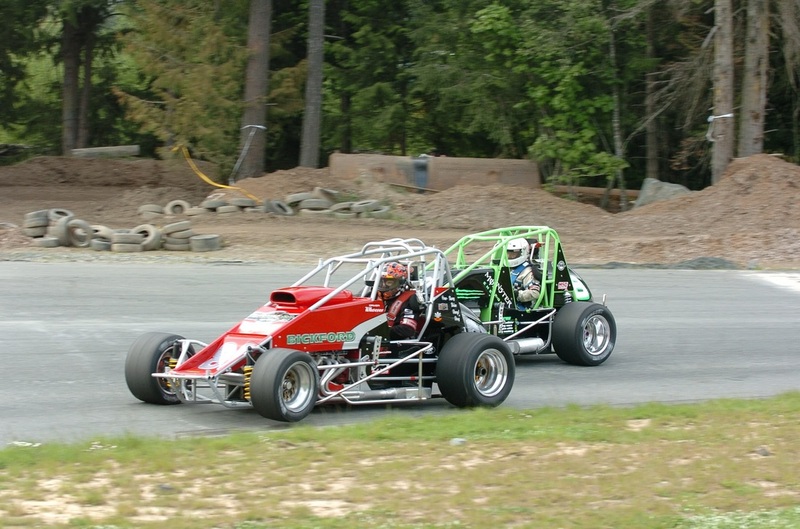 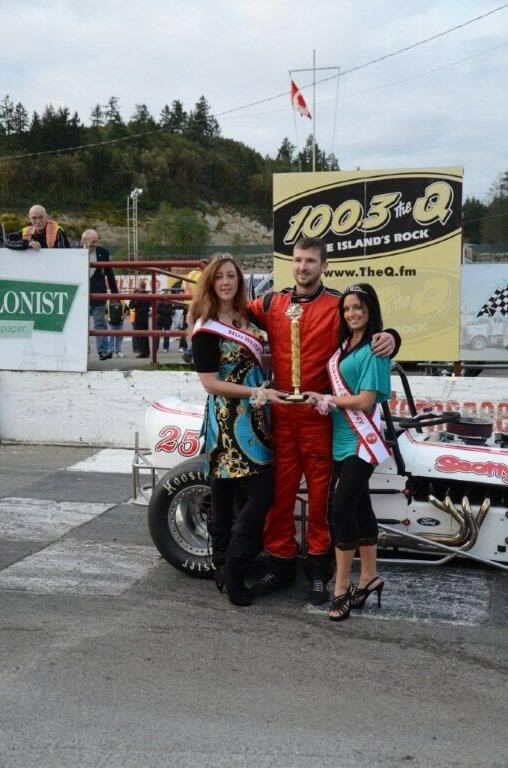 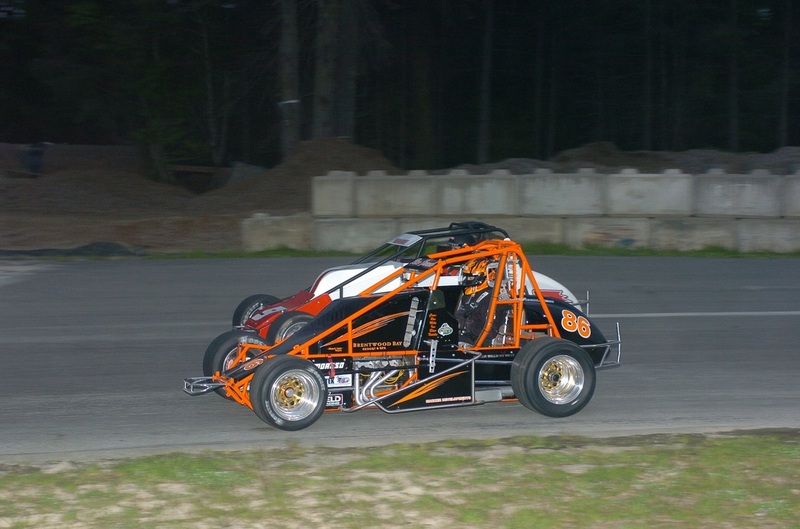 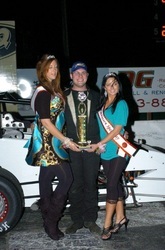 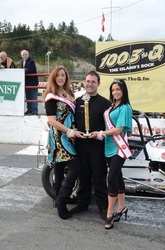 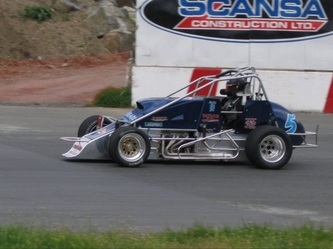 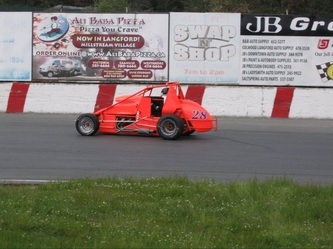 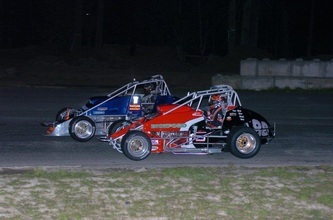 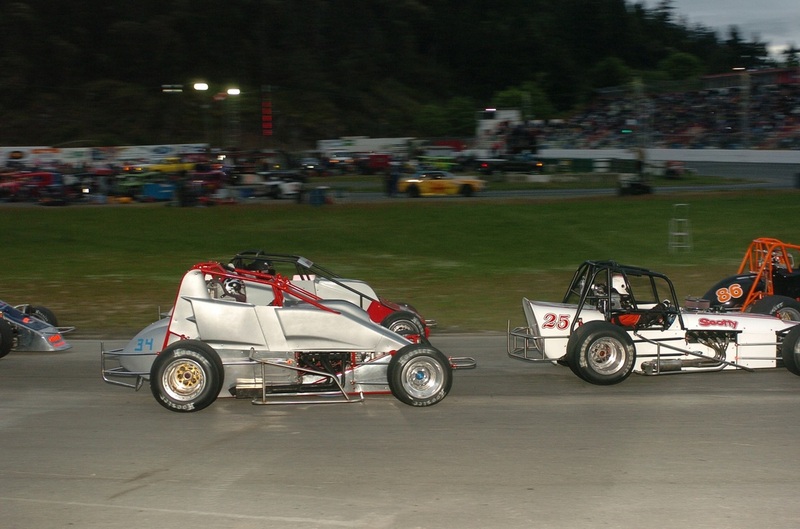 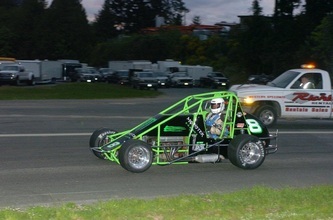 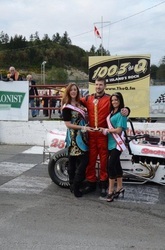 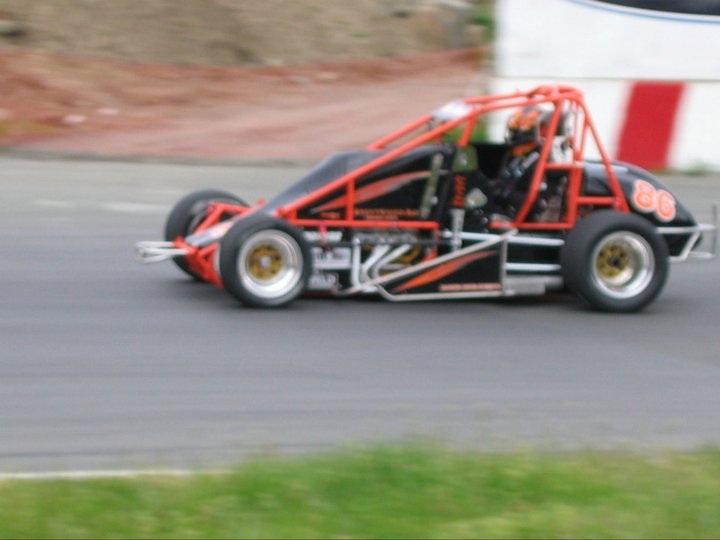 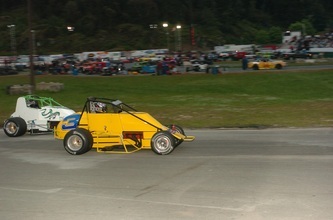 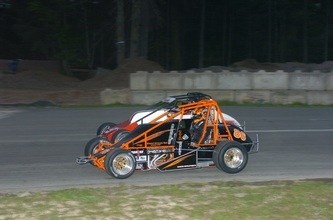 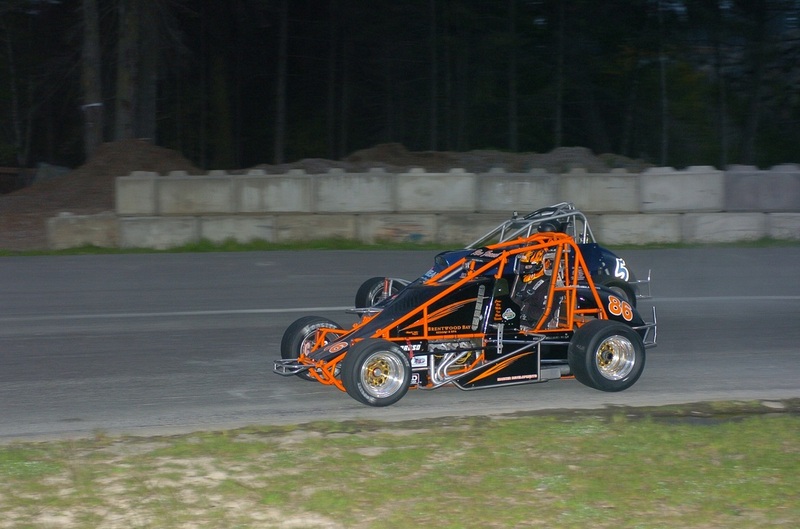 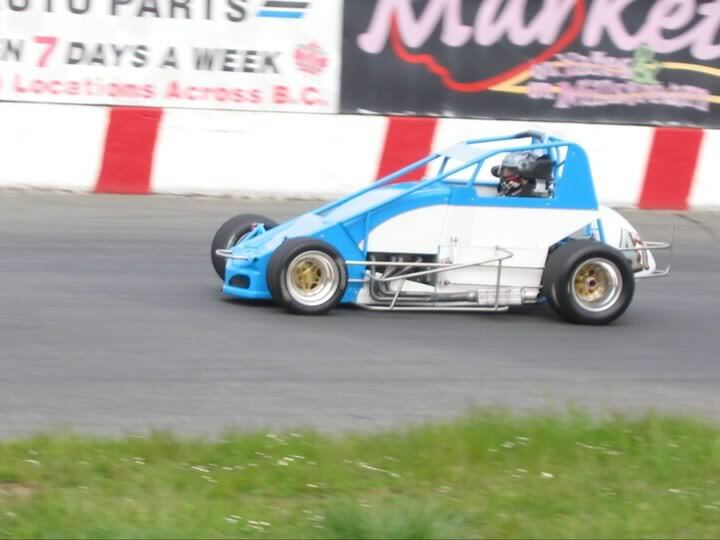 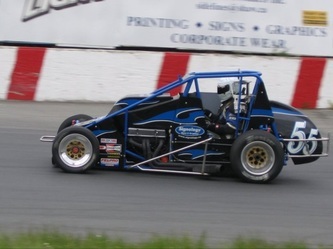 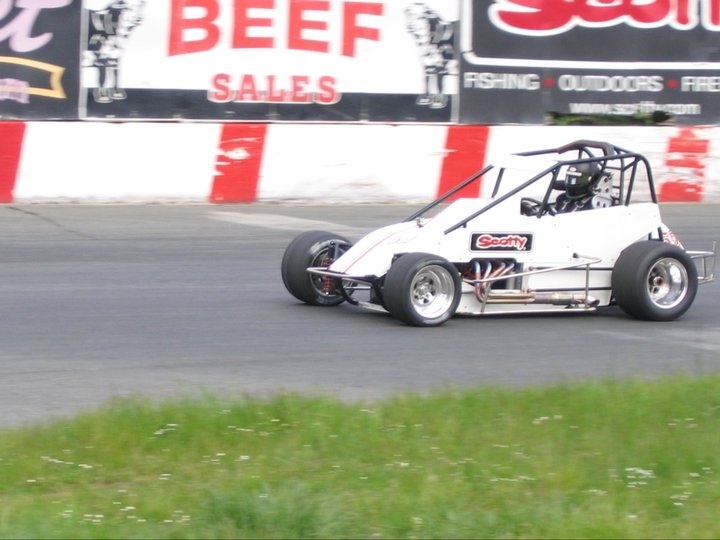 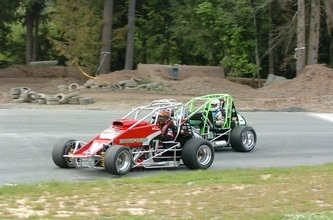 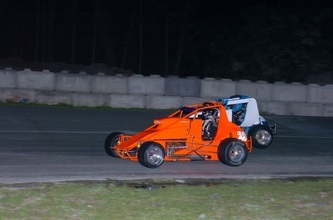 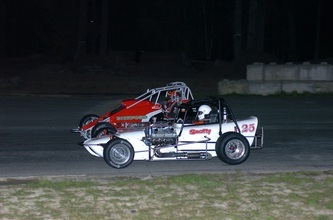 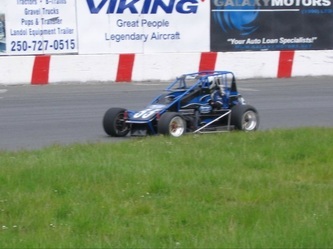 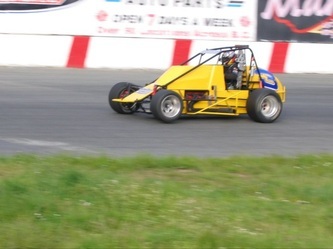 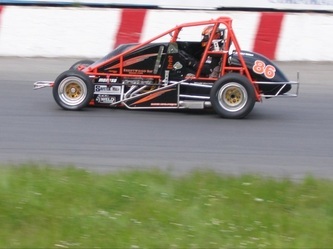 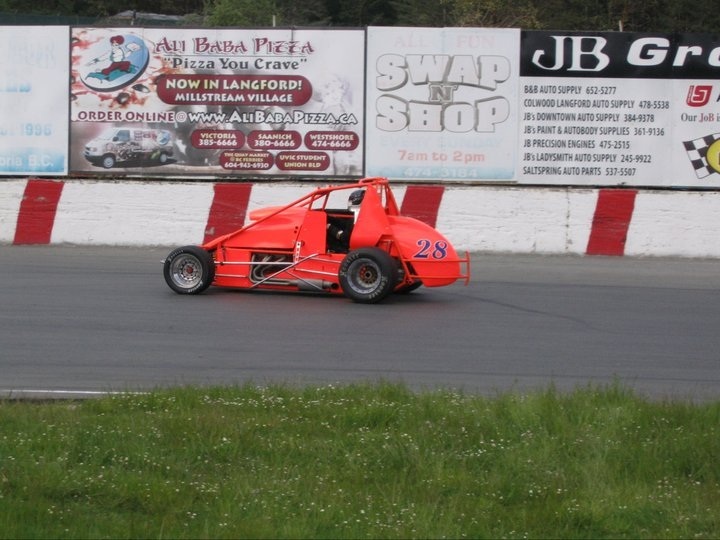 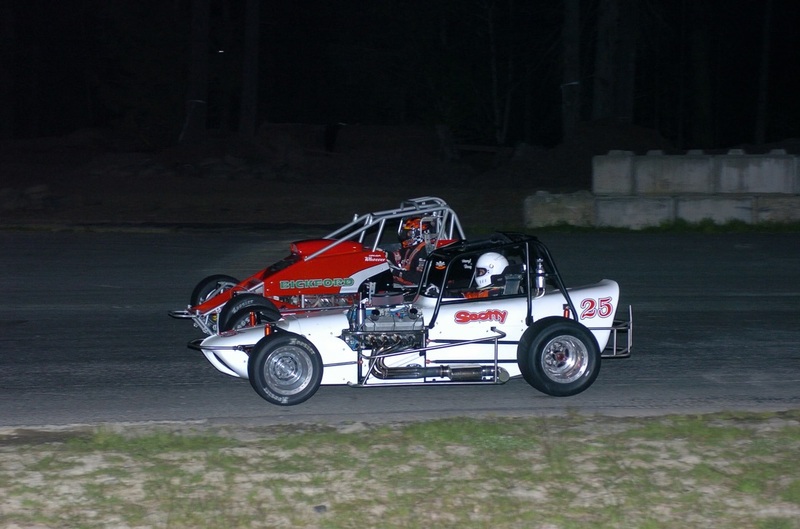 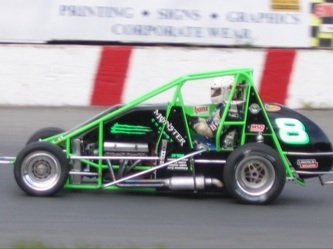 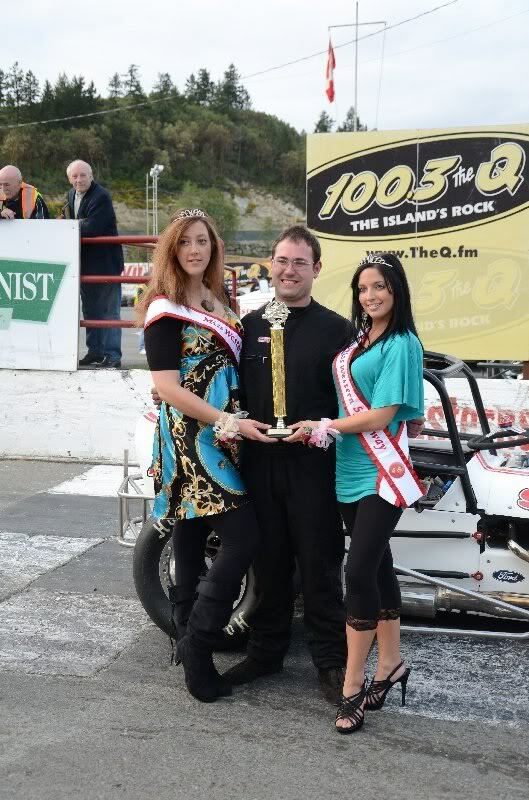 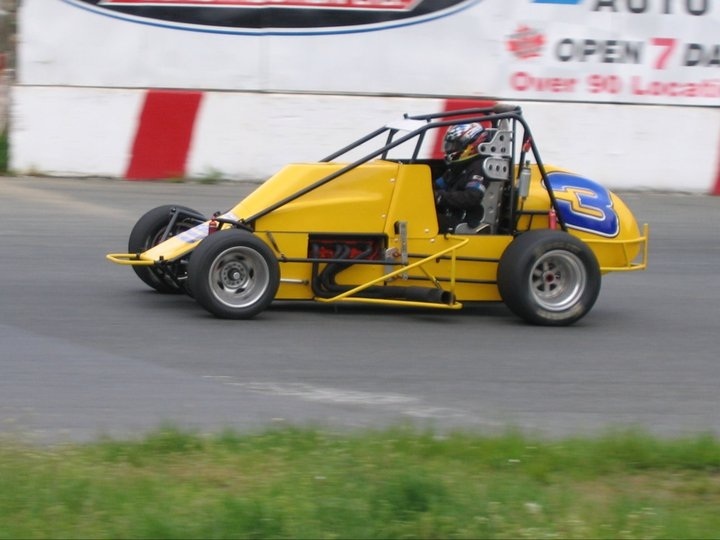 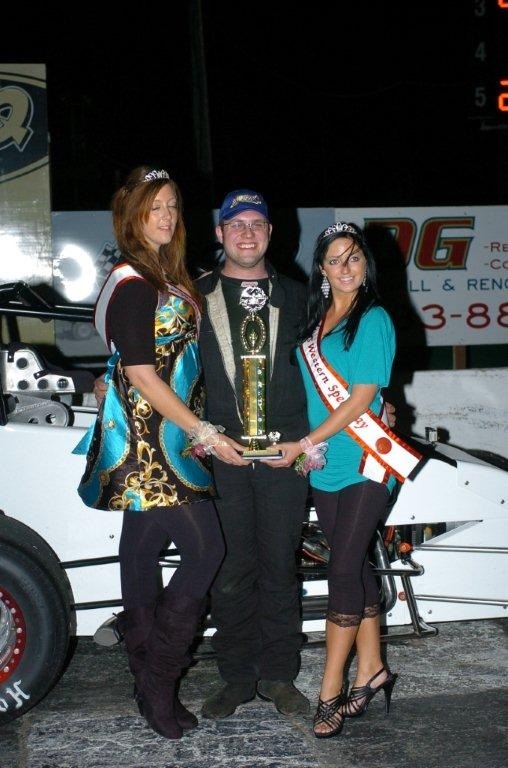 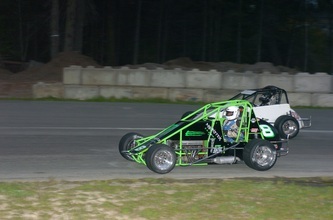 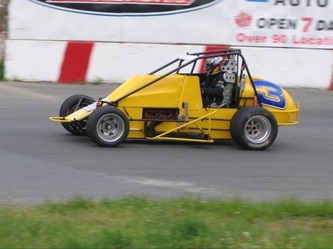 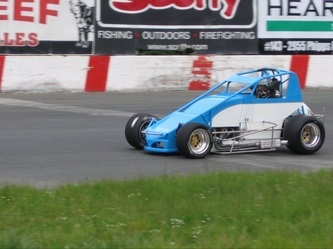 Chris Root, driving the #25 Roadster, won the "A" Dash also in the Lites Series. 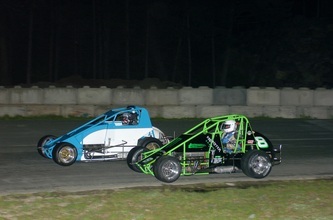 Deter Lejuene powered his way to the lead on lap four and cruised to the victory in the WilRoc Lites "B" Heat. 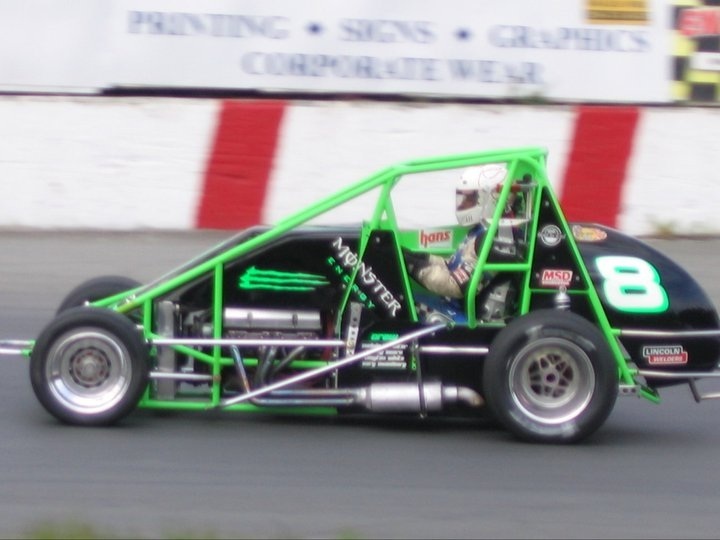 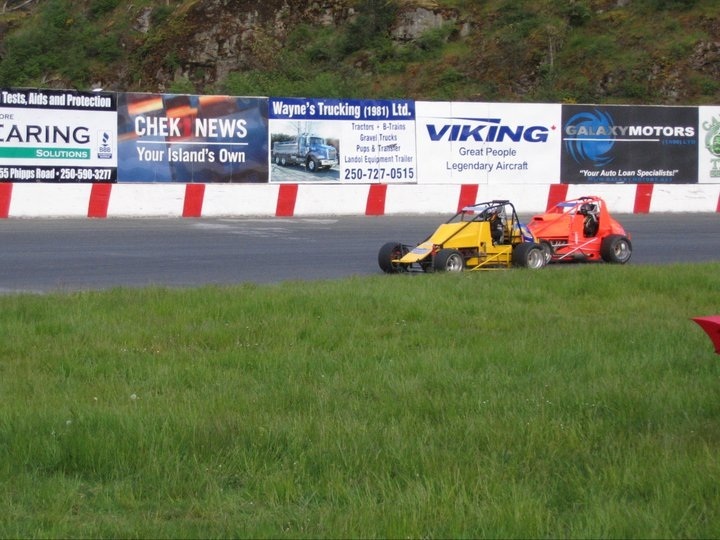 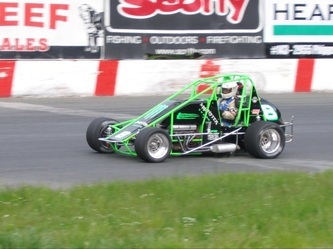 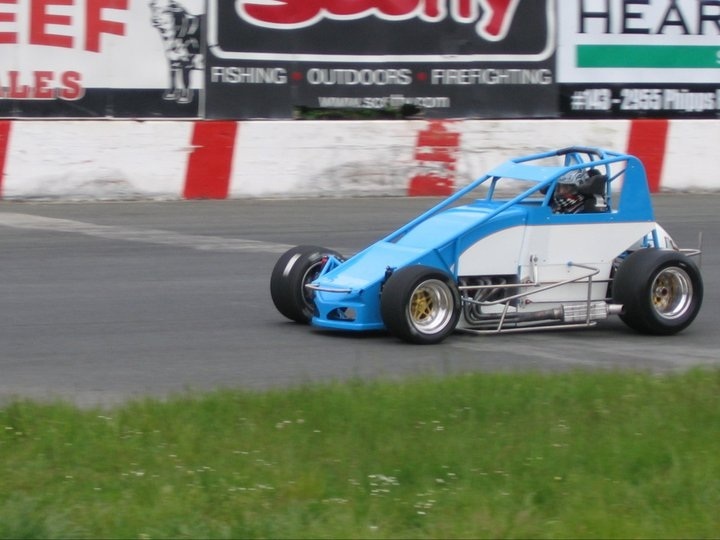 Robbie Haslam, driving the #8 WilRoc Lite car grabbed the lead, in the "A" Heat, and on lap three the red flag came out as Paul Verhagen was involved in a spectacular crash rolling his car three or four times exiting turn four. 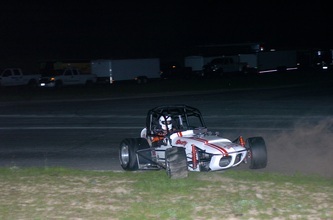 The car suffered a lot of front end damage and thankfully Paul was unhurt but his night came to an end. 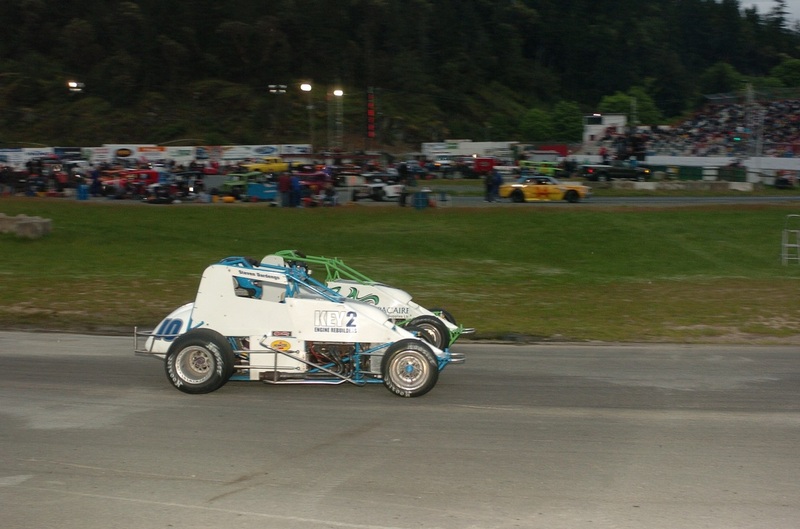 The remainder in this race produced some great racing as Jesse Dardengo and Chris Root tried everything to get by Haslam for the lead but to no avail as Haslam took the chequered flag. 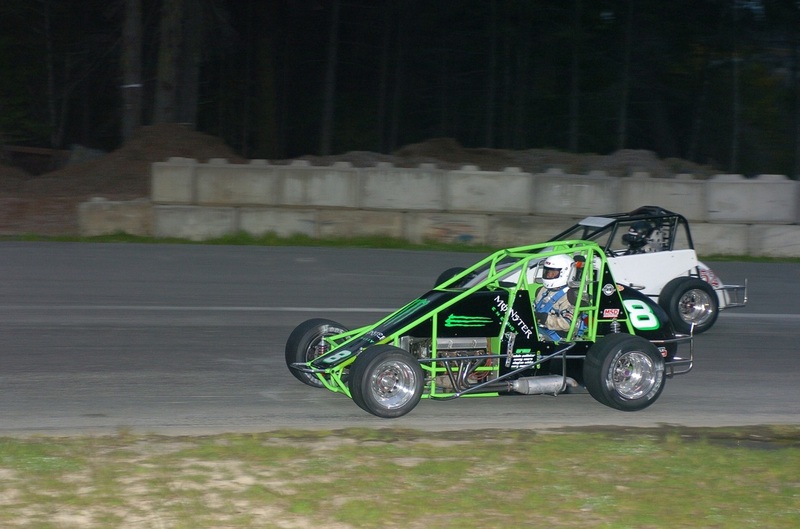 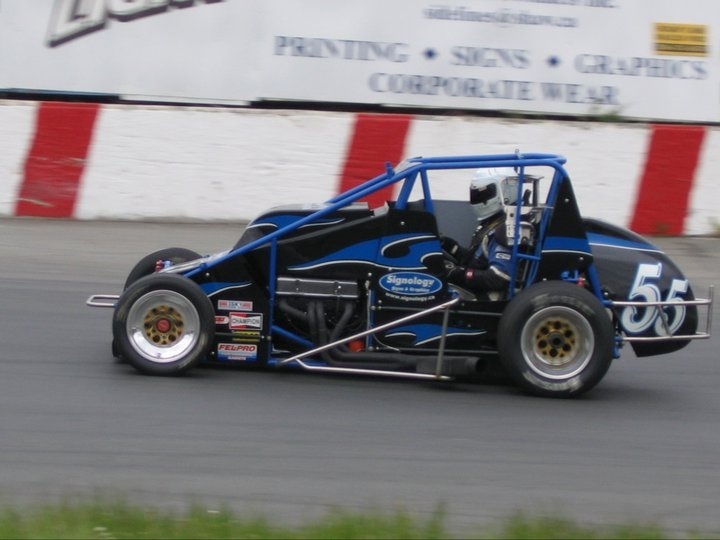 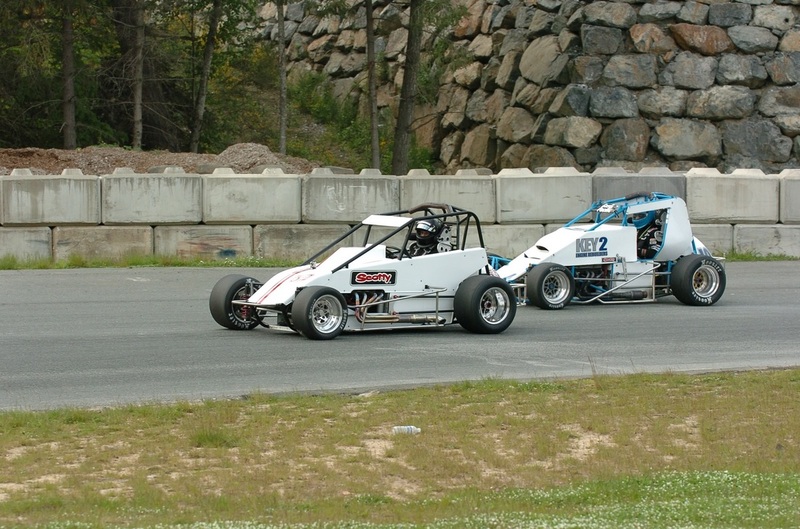 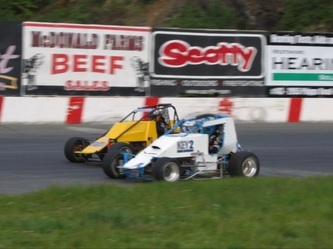 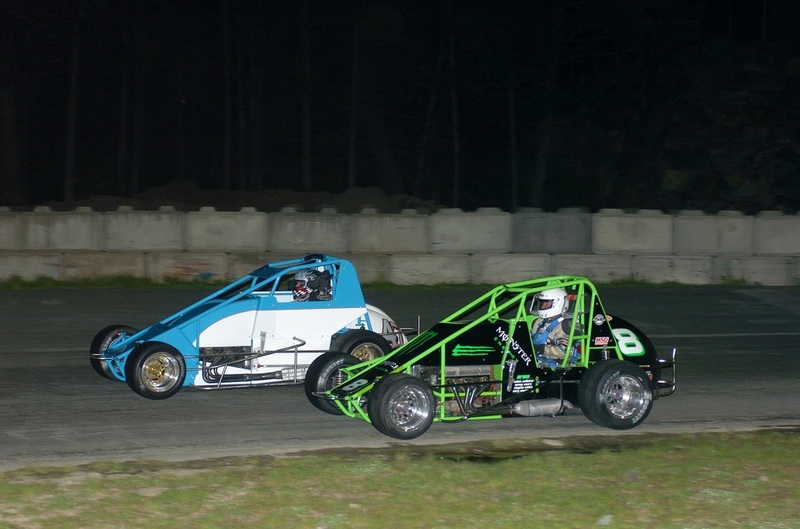 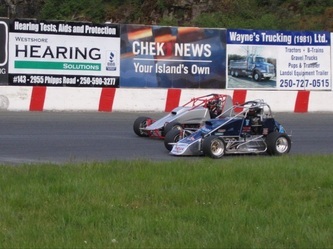 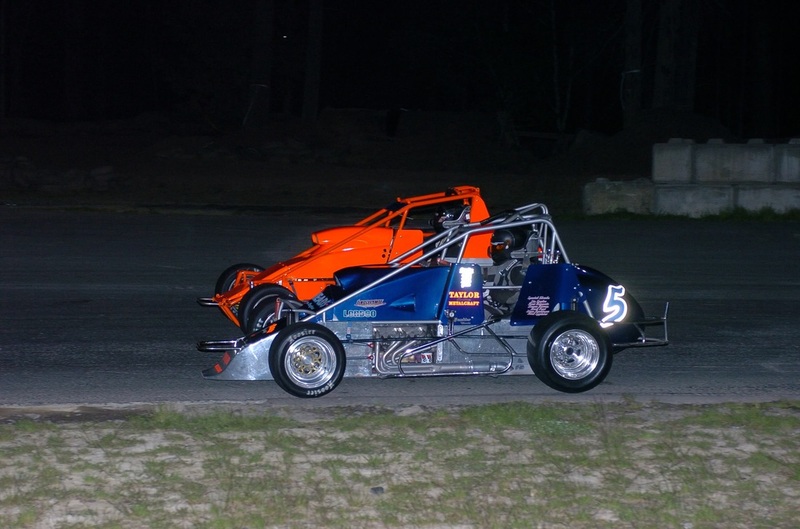 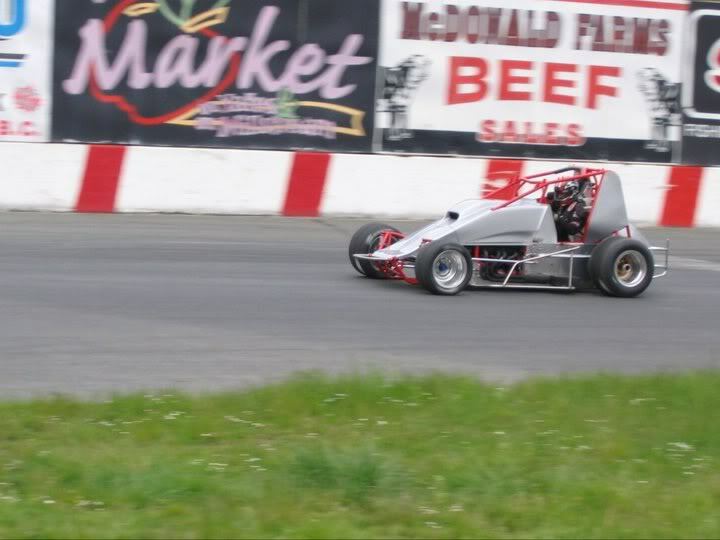 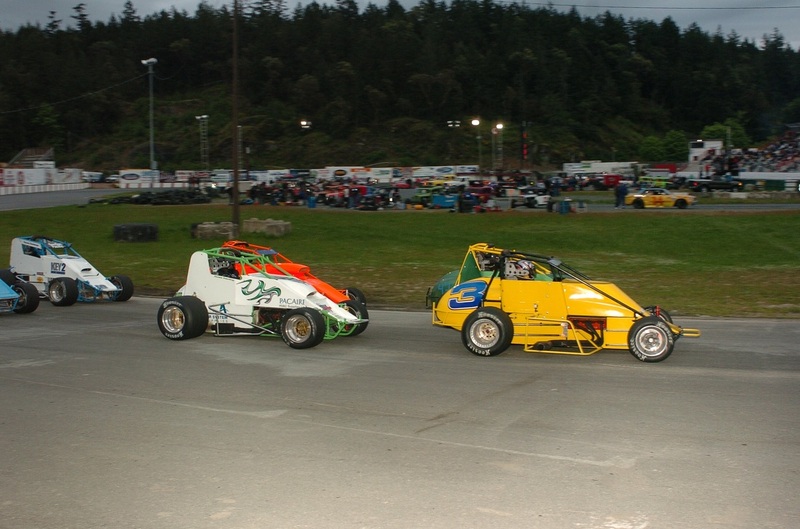 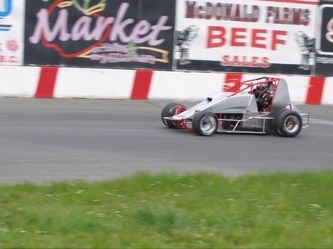 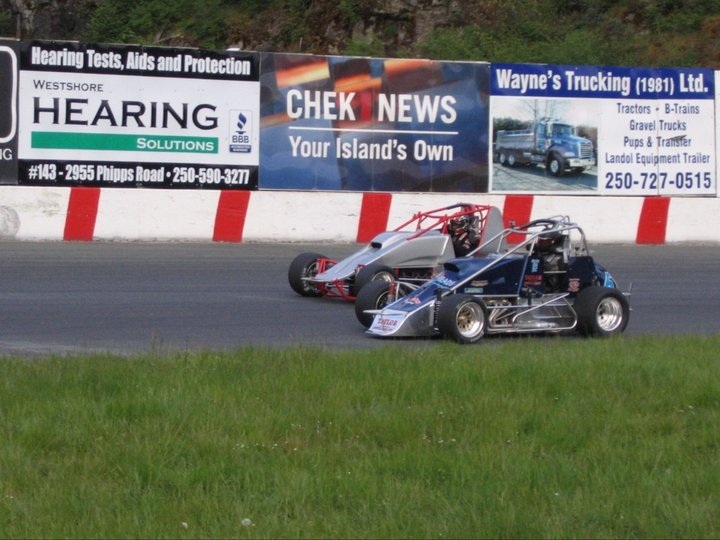 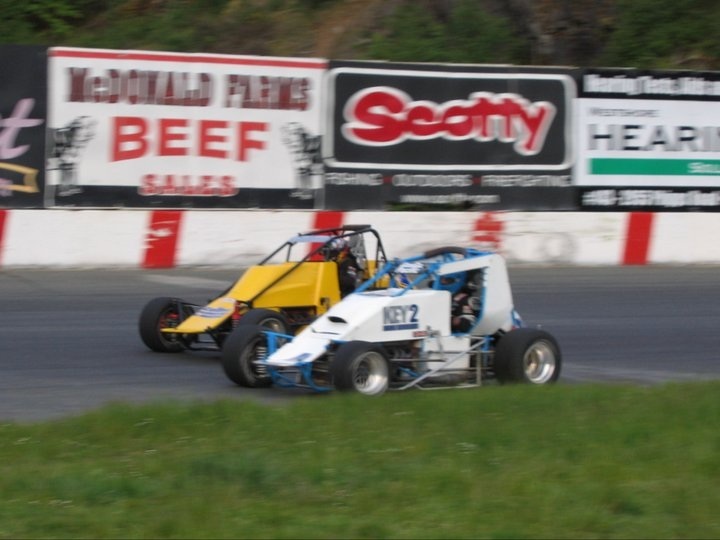 Fourteen high powered wingless Sprint Cars lined up for thirty laps of racing led by Wayde Heckford and Eli Ross as the WilRoc Lites came around to see the green flag for their first Feature event of the year. Heckford got the quick jump as did Steven Dardengo moving into second before lap one was complete. 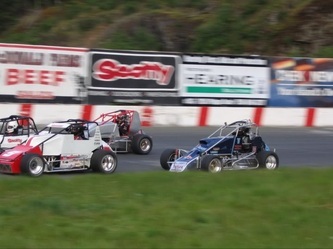 Behind them Darryl Morneau, Robbie Haslam, and Jesse Dardengo were in a tight battle for the next positions. 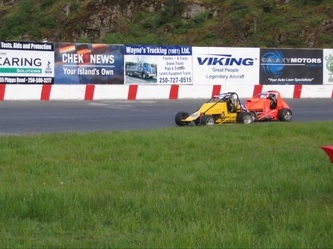 On lap seven Dardengo grabbed the lead followed by Heckford and Haslam just before the yellow came out for a spinning Chris Root on turn four. 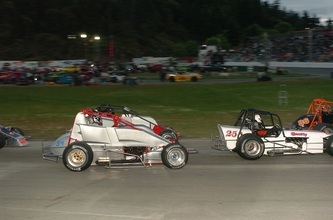 Frank Mayell also needed a push to the pits on this same yellow as his came came to a stop on the frontstretch. 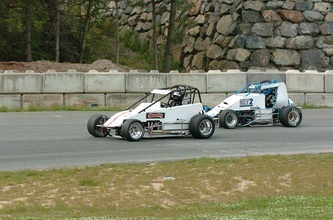 On the restart, Dardengo again grabbed the lead followed by Heckford and Haslam. 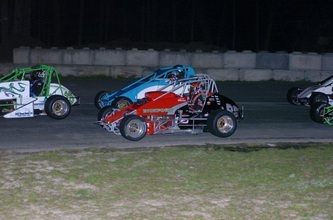 On lap eleven Haslam took over running second with Deter Lejeune taking the third spot and Guy Barrett, driving the #5 car, moving into fourth. 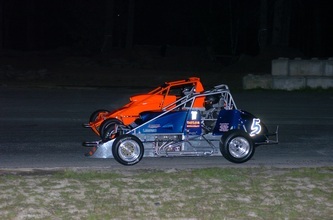 Over the next several laps Lejeune and Haslam ran side by side and bumper to bumper with lap cars also a factor. At the chequered flag it was Jesse Dardengo with the win followed by Haslam, Lejeune, Barrett, and Chris Root rounding out the top five positions.